June has been chock full of great TV. There was a crop of new shows, while some favorites returned and a few said goodbye. There were surprise cameos and delightful zingers. We’ve polled our trusty TV team for their favorite quotations. And remember, if you hear a great one, tweet me at @AmyTVGal or email me at amya@pastemagazine.com. One note: As we do with our weekly power list, streaming shows that debut all at once are eligible for six weeks, so we were able to get in a gem from Unbreakable Kimmy Schmidt which returned for a fourth season, which debuted at the end of last month. “I’ve never seen Cheers.” —Reggie (Marianna Palka) to the group. “It’s great. It’s about an invisible woman named Vera.” —Sheila’s (Gayle Rankin) response in “Viking Funeral” (Episode 2.1). “Me and my sister got tossed around from family to family and nobody wanted us. We lived on food stamps and we were abused and not one of you was around to help us. You only care about babies in the womb; you don’t care about them when they come out. If you did, you’d be fighting to end human trafficking in Libya… and Sarasota.” —Dean (Harold Perrineau) in “Cracker Casserole” (Episode 2.2). “There’s no such thing as being late in California.” Bonnie (Alicia Silverstone) in “The Party” (Episode 1.3). 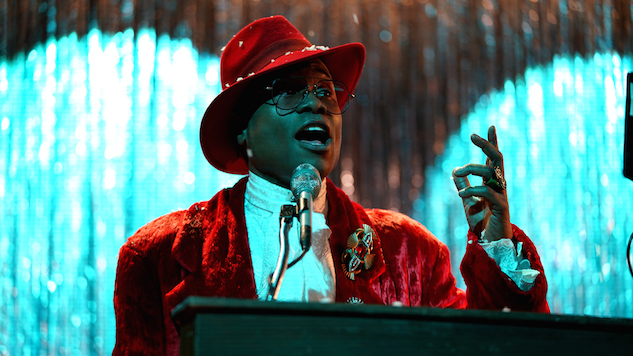 “It’s Fleet Week, and I’m not talkin’ enemas, children!” —Pray Tell (Billy Porter) in “Pilot” (Episode 1.1). “You’re a superhero! Not in the traditional sense of the word, since you do drugs and have a genuine disdain for people.” —Townes (Daniel Maslany) to Henry (Maddie Hasson) in “New Beginnings” (Episode 1.10).